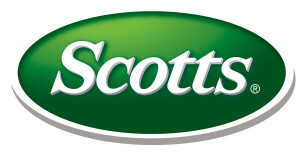 Scotts Canada, as part of the ScottsMiracle-Gro Company, is more than just a supplier of lawn and gardening products. We are committed to providing a complete gardening experience with products and advice that help you get answers, get inspired and get growing.. Through our dedication to innovation, we continue to bring the most trusted lawn and garden products to consumers in Canada and the world. The healthy green spaces in our communities create vibrant, beautiful places for neighbors to enjoy physical activities, social events or a cool retreat on a hot day. They also contribute more to our neighborhoods than first meets the eye by helping to protect the water, soil and air around us. Some of the greatest benefits of healthy grass and green space are the environmental impacts we can’t see. As a committed environmental steward, Scotts Canada is very proud that the hard work of our customers, with the help of our products, makes Canada greener and the Earth healthier. To this end, Scotts is also proud to partner with organizations such as Communities in Bloom to help individuals, communities and municipalities create healthy green spaces that provide the greatest possible environmental benefits – right in our own backyards. We invite you to explore other Scotts Canada activities, like our GRO1000 Grants program to create 1,000 community gardens and green spaces around the world by 2018, and our local partnerships with food banks.